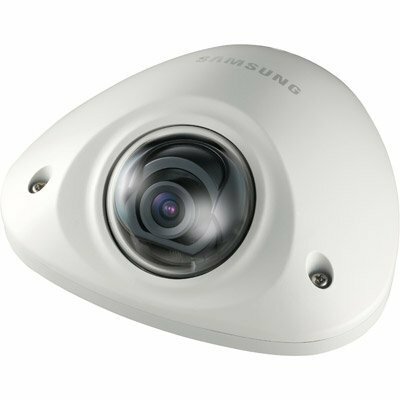 The Samsung SNH-1011 IP SmartCam is a mix of cutting edge technology, innovative vision, and intuitive design; giving you security, simplicity, and convenience all rolled up in one. Connect to your router with a push of a button, register your camera on-line, open your web-browser, and start monitoring. It's that simple. And because you can view your camera on your PC, MAC, and smartphone, you can keep a watchful eye your home or business anytime and from anywhere. 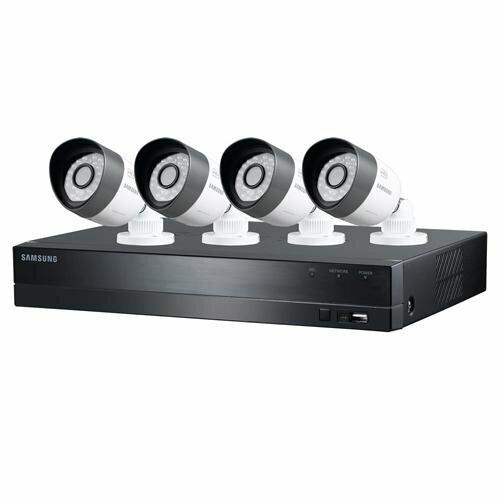 The professionally refurbished SDH-B3040 is a 4-channel Samsung Analog High Definition (AHD) Security System. 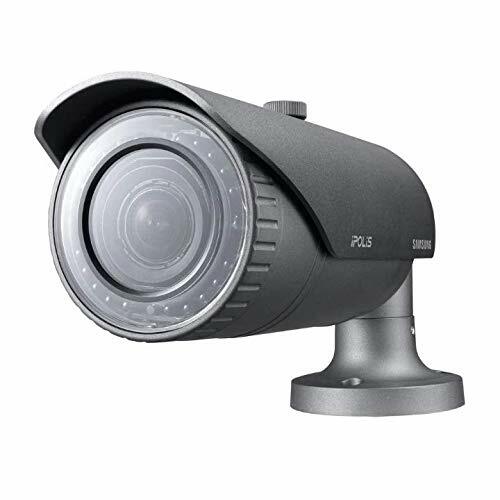 It is an all-in-one home surveillance system that includes 4 IP-66 rated weather-resistant cameras (SDC-8440BC) delivering 720p resolution at the fraction of the price of an IP video system. It offers true daylight and clear night vision up to 82ft. Additionally, the SDH-B3040 package comes with 4 BNC Siamese cables for all 4 of the cameras included. The system is simple to install and just as easy to use as the traditional analog CCTV systems. 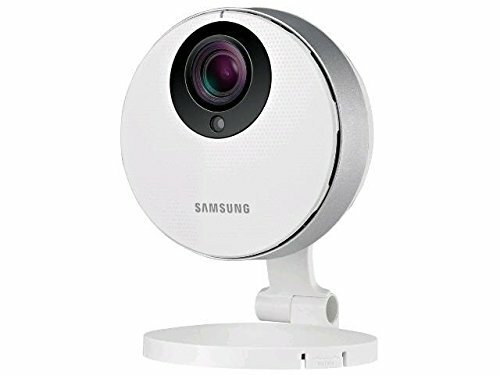 1080p Full HD WiFi CameraView larger Samsung HD Pro WiFi IP Camera (SNH-P6410BN) Whether you want to check in on what your pet is doing, see if the kids are safe or just want the reassurance of knowing that your home is secure, the Samsung SmartCam HD Pro is the perfect way to keep an eye on what matters most. You can view your SmartCam HD Pro from your mobile device anytime from anywhere in the world, giving you peace of mind. 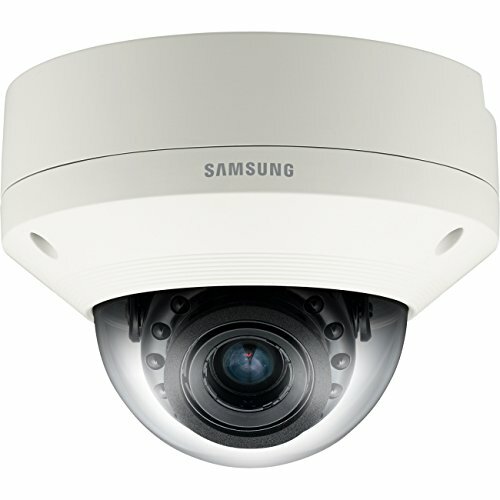 Designed for optimum performance with Full HD 1080p video quality, simple set-up and an intuitive experience, the SmartCam HD Pro provides the high caliber video experience you would expect from Samsung. The SmartCam HD Pro can be easily customized to instantly alert you to both motion and audio events so you won’t miss a thing! The SmartCam HD Pro delivers real-time notification of activity through your iPhone, iPad, or Android smartphone or tablet. It also has a built-in slot for a microSDXC memory card which allows for video storage for later review. 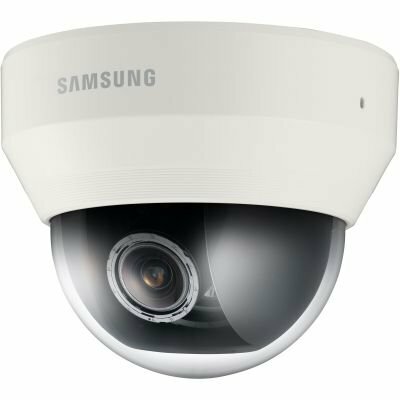 Once you’ve downloaded the Samsung SmartCam app and have set up your SmartCam HD Pro, there are no extra costs or monthly fees for viewing or storage. 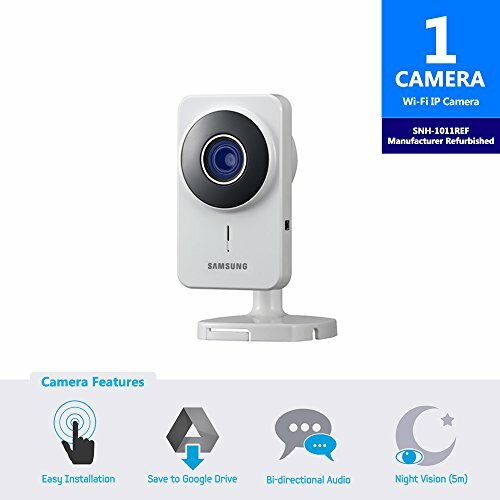 The SmartCam HD Pro WiFi IP camera introduces many advanced features such as Wide Dynamic Range, Samsung Light Enhancer, Advanced Motion & Audio Detection, and Motion Zone Select. Each camera is equipped with a built-in microphone and speaker for crisp, clear Two-Way Talk ─ one more way Samsung helps you be in two places at once! Simple WiFi Setup Setting up the device is simple and requires no use of software or CDs. Simply download the free Samsung SmartCam app for Android or iOS, available on the App Store and Google Play, to your mobile device. The intuitive setup wizard helps you to begin viewing your camera in a matter of minutes. Advanced Motion & Audio Detection If your pet enters an “off-limits” room, the kids come home from school, or a window is shattered, you’ll be immediately notified. False alarms due to slight changes in lighting or minor movements such as a houseplant gently ruffled by an air vent, are now a thing of the past! The SmartCam HD Pro’s Advanced Motion & Audio Detection recognizes that things like rolling cloud coverage, falling leaves and swaying branches are not key events. You will only be notified, through instant push notifications to your mobile device, of true motion events such as someone entering the room. And in low light conditions, audio detection has you doubly covered listening for loud incidents you should know about. 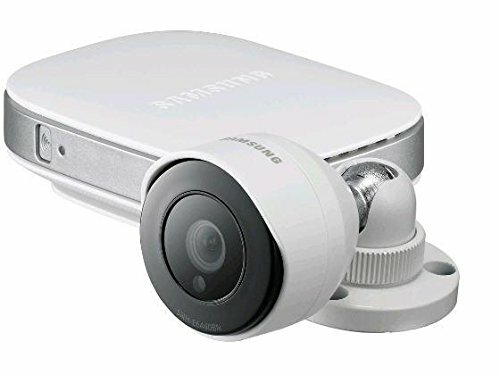 View larger 1080p Full HD Video The SmartCam HD Pro WiFi IP camera provides up to 1080p Full HD streaming video to your mobile device, delivering better image quality than 720p resolution. Capture every detail of your kids playing video games, your cat poised at the window awaiting your return, or even the cash register inside your store. The large 1/2.8-inch CMOS sensor allows maximum light through the lens ─ yielding vivid colors, brighter video and stunning detail. Two-Way Talk Go ahead: remind your child to do her homework or tell your dog to get off the couch. The Samsung Enhanced Two-Way Talk feature lets you not only hear what’s going on around the camera, but also allows you to talk back through your smartphone, no matter where you are. A built-in audio minijack that accommodates external speakers (not included) amplify and enhance the sound quality. View larger Samsung Light Enhancer (SLE) & Wide Dynamic Range (WDR) SLE: The Samsung Light Enhancer enriches available light in dark areas to give you superior image detail in even the most challenging low light conditions. If you wake up with the nagging feeling that you left the burner on under the kettle, a quick check from your smartphone will put the issue ─ and you ─ to bed. WDR: Bright light streaming through windows poses no problem for the SmartCam HD Pro. The WDR technology enhances details in backlit conditions to give you a clear view of the outside, while eliminating murky silhouettes in the foreground. So while it may be high noon outside, you’ll clearly see the sheriff’s star as your little cowgirl has a showdown in front of the playroom window. View larger True Day & Night and Ultra-Wide Angle The SmartCam HD Pro features an advanced IR Cut Filter for accurate, vibrant colors. Even in darkness, the camera provides clear, nighttime video up to 16 feet. No more need for barefoot late-night safety checks! While other cameras have constricted angles that limit your view, Samsung’s 128° Ultra-Wide Angle lens gives you a wider view to maximize your recording coverage without compromising quality. Want to know what the kids are doing with the crayon over there in the corner? The SmartCam HD Pro puts you right there! Motion Zone Select Motion Zone Select further fine-tunes what you want the camera to pay attention to. If you want to keep your eye on the window, but the dog runs back and forth beneath it, Simply draw a box around it on your screen and the camera will alert you when someone is approaching outside. You can select up to three motion zones in the camera’s field of view. Local Video Storage Capture those important events right onto your SmartCam HD Pro. Local video storage is possible through a micro SD card slot with the ability to record directly onto a microSDXC memory card* with up to 64GB capacity. Set your camera for continuous recording, record at scheduled times, or, to minimize viewing time and storage space, record only when motion and sound events are detected. You can even view the recorded video right from your mobile device from anywhere in the world. *SD card not included. 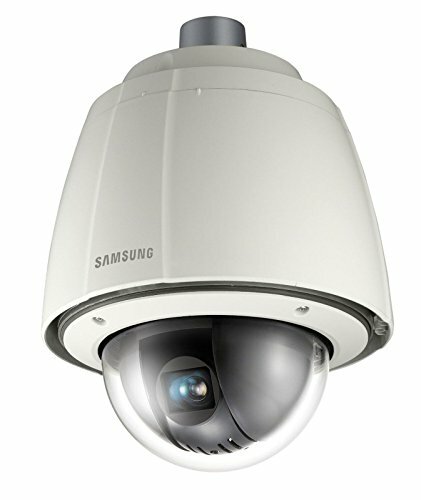 URL : https://www.samsung-security.com/products/security-cameras/analog-cameras/fixed-domes/SCV-2080R.aspx The SCV-2080R is a rugged high performance true day/night outdoor dome camera capable of illuminating subjects up to 98 ft. away due to its built-in IR LEDs. Featuring a built-in IR corrected 3.6x varifocal lens (2.8 ~ 10mm), the SCD-2080R provides flexibility for use in a wide range of applications. Features include a sensitivity specification (LEDs off) of 0.15 Lux, true Day / Night operation with ICR, SSDR dynamic range enhancement, motion detection, privacy masking, and remote setup via coax or RS-485 communications. 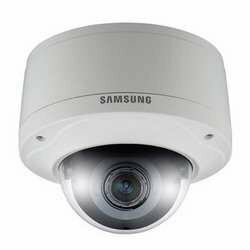 Samsung Wisenet III SND6084 2MP Dome IP Security Camera This item is new as shown. Item guaranteed! 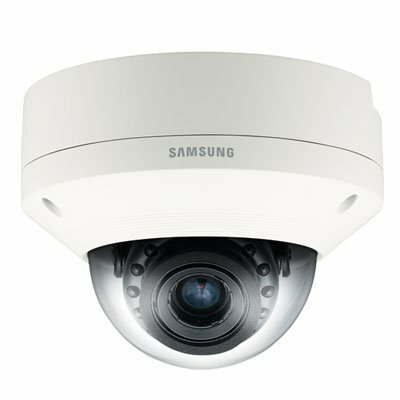 URL : https://www.samsung-security.com/products/security-cameras/network-cameras/fixed-domes/SNV-7082.aspx Samsung introduces it's updated line of 3MegaPixel Full HD Network Cameras designed for advanced surveillance solutions. These cameras come equipped with progressive technologies such as advanced WDR (Wide Dynamic Range) to provide superior images in high contrast scenes and Auto Back Focus to make installation simple. 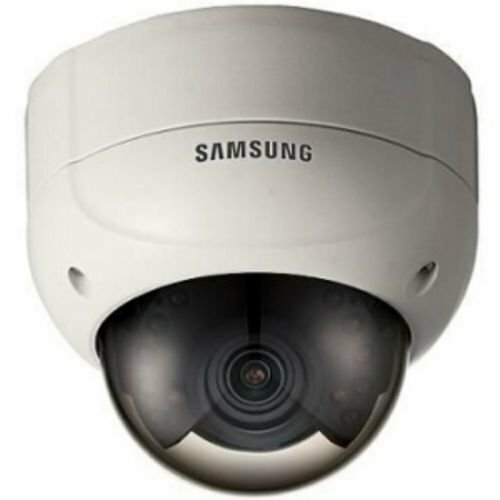 Other features include: SSDR (Samsung Super Dynamic Range) to enhance color reproduction and resolution and reduce signal noise, Face Detection - prioritizing faces in an image, Audio Detection - alerting the system to events beyond the camera's field of view, ROI (Region of Interest) - spotlighting the critical areas in the camera's field of view, and True Day/Night for superior images in the dark. 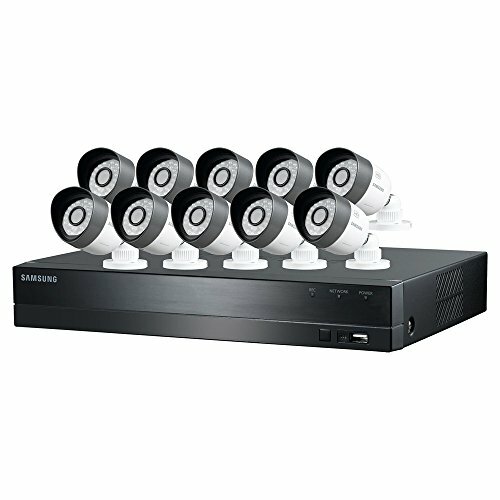 The SDH-C5100 is a 16-channel Samsung Analog High Definition (AHD) Security System. 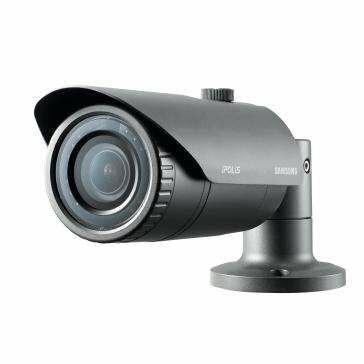 It is an all-in-one home surveillance system that includes 10 IP-66 rated weather-resistant cameras (SDC-8440BC) delivering 720p resolution at the fraction of the price of an IP video system. 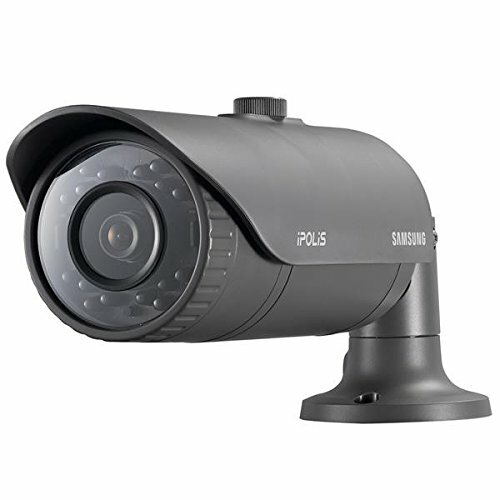 It offers true daylight and clear night vision up to 82ft. Additionally, the SDH-C5100 package comes with 10 BNC Siamese cables for all 10 of the cameras included. The system is simple to install and just as easy to use as the traditional analog CCTV systems.